Windows 7 Hack: Playing with "GodMode"
Microsoft has strived to develop Windows into an intuitive, user-friendly operating system. For some, though, "user friendly" is just another way of saying "dumbed down" in an attempt to force all users into a limited, cookie-cutter system. Power users and IT administrators need to be able to go behind the curtain of the friendly user interface and get down to the business of tweaking and customizing the operating system to meet their needs. That is where Windows 7's "GodMode" comes in. A hidden developer shortcut creates the GodMode folder. A more appropriate name than "GodMode" for an Easter egg feature that gives you ultimate control over the operating system would be hard to come up with. That said, you don't really need GodMode to be the god of your domain--the tweaks available with GodMode already exist independently of it, but these tricks make them far more accessible. Let's take a look at what the Windows 7 GodMode is, how to access it, and what playing god with Windows 7 can do for you. GodMode is actually a hidden (or, at least it used to be hidden) developer shortcut in Windows 7 that provides more direct access to features and functions of the operating system. To be clear, GodMode doesn't add functionality. 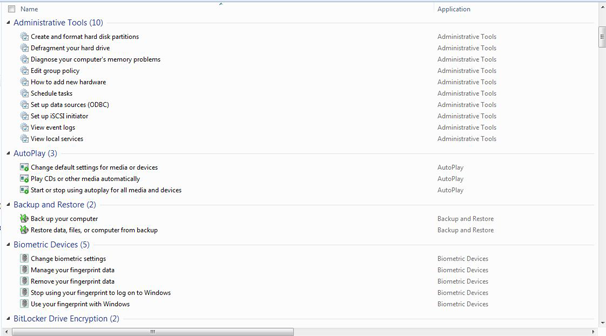 But it helps administrators work more efficiently by collecting all these tweaks and controls in one place. Create a new folder wherever you want the GodMode folder to be. Right-click in Windows Explorer, select New, then click Folder. The folder icon should be replaced by the Control Panel icon, and the folder should now be filled with a variety of tweaks and tools (see figure at lower right). But, wait. There's more! The truth is, there isn't just one "GodMode." Windows 7 has an entire pantheon of GodModes, with a variety of hidden folders you can set up using different, unique text strings, including special folders for biometric settings, printers, credentials and logins, the firewall and security, and many other features and functions of Windows 7. A post in a Microsoft forum by Auri Rahimzadeh provides a short script that will quickly create the GodMode folders. Copy and paste the following text (immediately below this paragraph) into Notepad. Name the file "godmodes.bat" and save it on your hard drive in the location where you would like the folders to be. Running this script will create a new folder called Special Folders that will contain all of the developer shortcut folders (as shown in the clickable thumbnail figure below). Also, by changing the text where it says "Special Folders" in the first two lines of the script, you could rename the new folder anything you'd like. Okay, so now you have a bunch of folders filled with tools and tweaks that you already had access to. Congratulations. The question to consider is whether or not these GodMode folders serve any purpose. Do they make it easier to work with and configure Windows 7? Do they make your life as an IT administrator easier? Well, let's see. Let's say you want to defragment a hard drive. You could go through the normal steps of clicking on Start, All Programs, Accessories, System Tools, Disk Defrgamenter. However, that is a fair amount of clicking, and it assumes that you remember where the Disk Defragmenter tool is located. Or, you can open the GodMode folder, go to the Administrative Tools section, and click on Defragment your hard drive. Another example is adjusting the display settings--perhaps to mirror or extend the display landscape onto a second monitor. You can click Start, Control Panel, Display, and then select Change display settings from the panel on the left. Or you can go into the GodMode folder and just click on Change display settings under the Display section. In both examples, you don't have to enable the GodMode folder to accomplish the task. The tools exist already, and GodMode is really nothing more than a regrouping of those tools. But it is a convenient regrouping. IT admins and power users can also make effective use of the Windows Search function to navigate to tools more efficiently. However, that requires knowing up front what tool you are looking for, and making sure you enter the right keyword or phrase for Windows to locate it for you. What GodMode does--aside from conveniently regrouping common tools that are already available--is list the tools in logical categories based on the types of tasks an IT admin might need to perform. And the tools are named for the way that IT admins think when they want to perform those tasks. For instance, you can get to BitLocker Drive Encryption through the Control Panel, but in the GodMode folder it is listed in the form of a task that makes sense: "Protect your computer by encrypting data on your disk." There you have it. It is not quite as magical or all-powerful as the name implies. But GodMode--in all of its forms and folders--can be a valuable tool and make your life simpler.